The ice of the lake is a transparent pane of glass. A window to depths of cerulean and shadow beneath my skimmer’s skates. 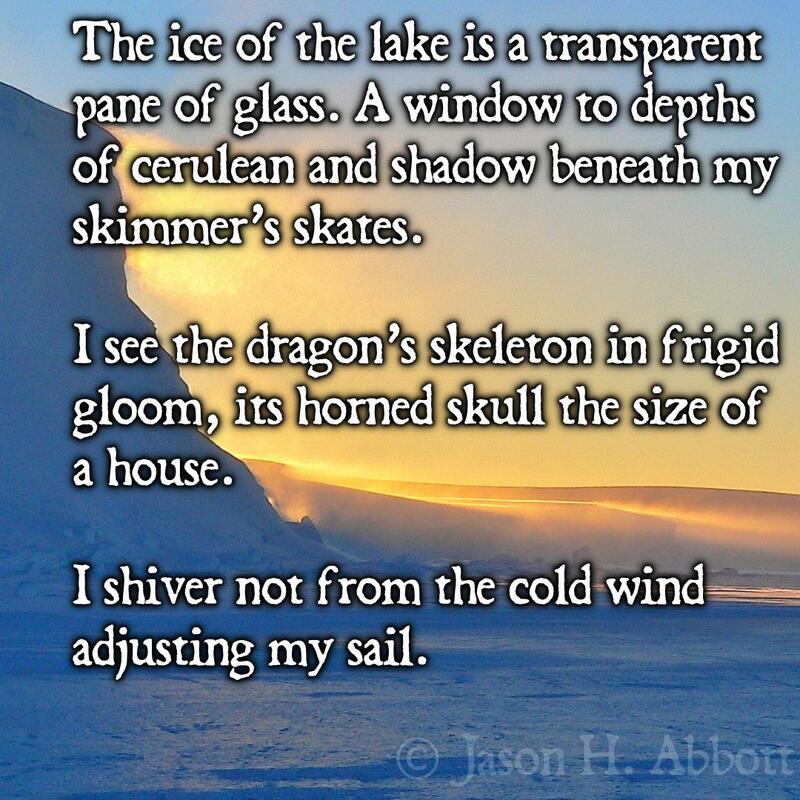 I see the dragon’s skeleton in frigid gloom, its horned skull the size of a house. I shiver not from the cold wind adjusting my sail.